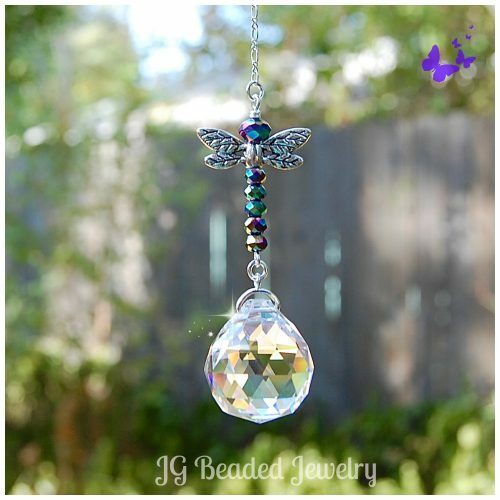 This rearview mirror hanging crystal ball suncatcher is a great size for the rearview mirror as it is not too big or heavy and measures 23x20mm, which is approximately 7/8 inch. 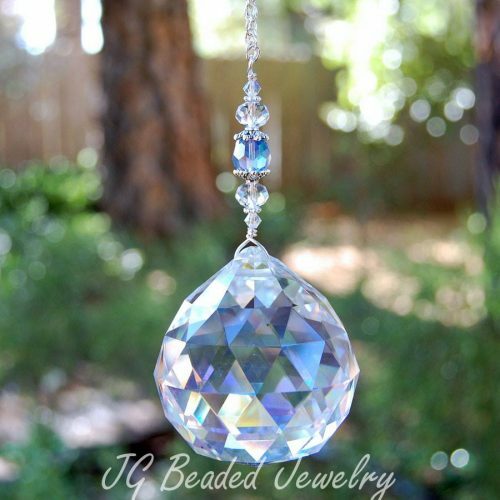 The clear prism crystal ball is wire wrapped by hand with silver wire for strength and attention to detail. 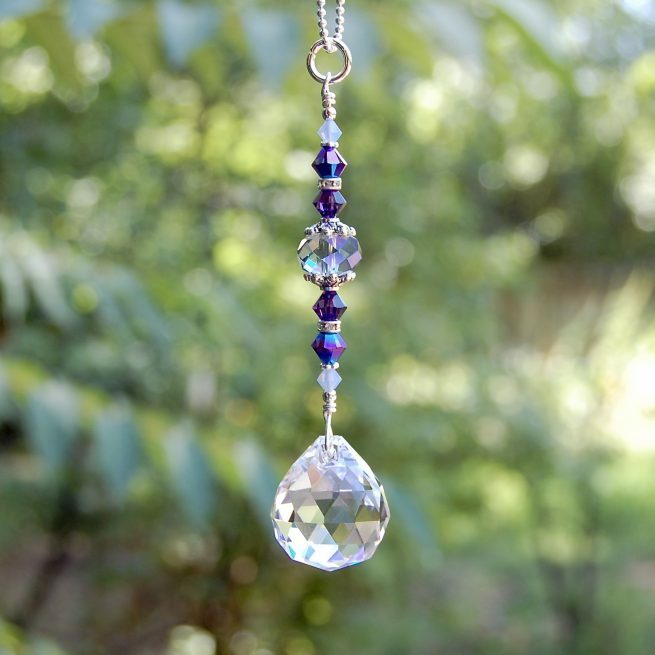 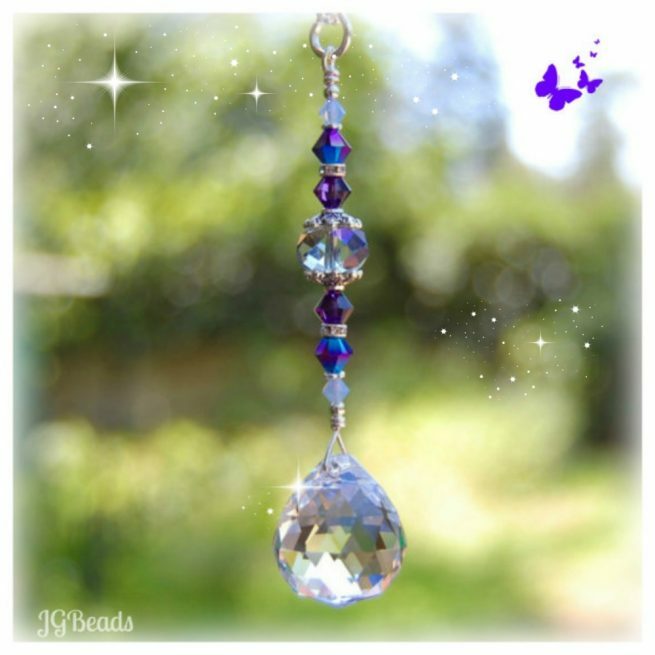 It is embellished with gorgeous opal blue, iris blue/purple and deep purple Swarovski crystals, fancy silver beads and a gray faceted crystal with purple hues in the middle. 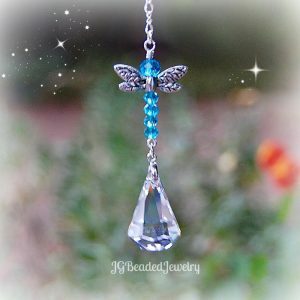 Quality made with love and care! Swarovski is known worldwide for quality, precision cut, and flawless crystals – they are the best of the best! 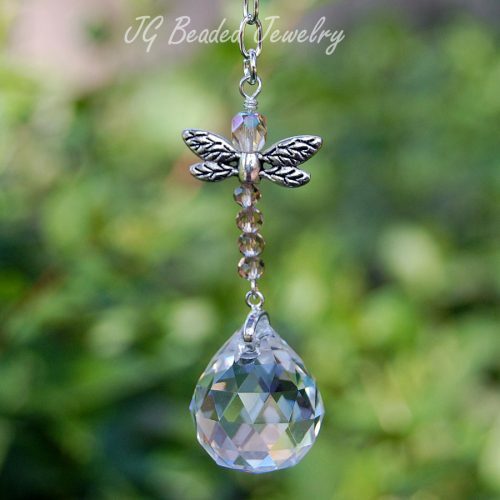 ♥ This crystal design is also available as a large window crystal here.